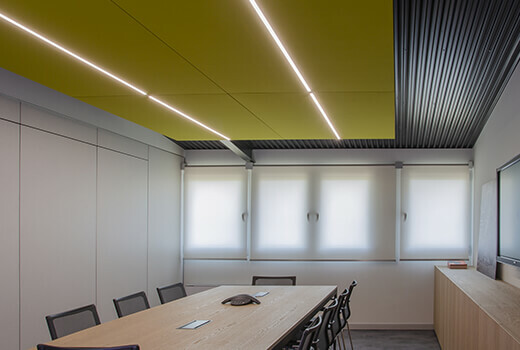 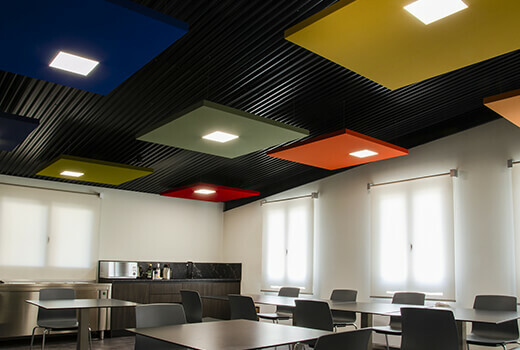 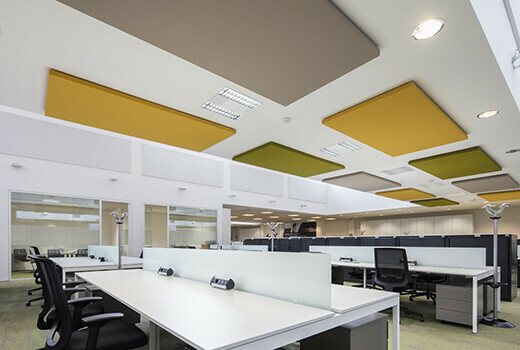 Kubo is an upholstered removable sound-absorbing cube that is particularly suitable for installation in areas with very high ceilings (above three metres). 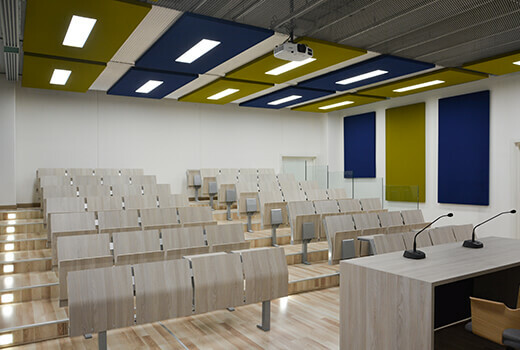 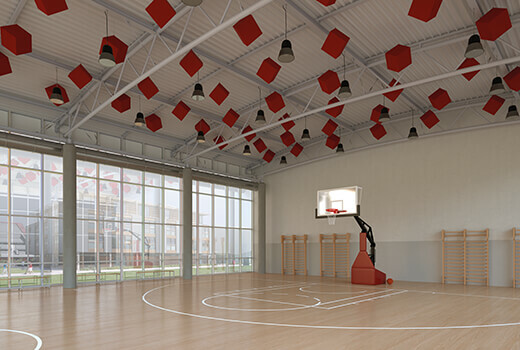 The ceiling fastening system with a steel cable attached to a corner of the cube lets you create various arrangements that meet the specific acoustic needs of different venues. 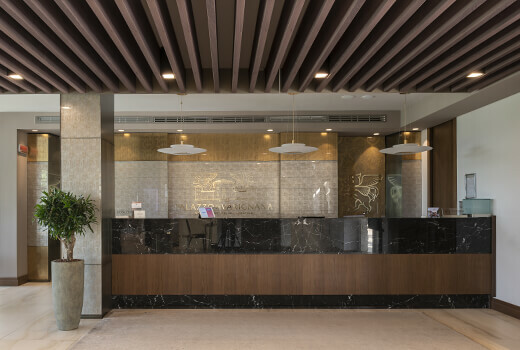 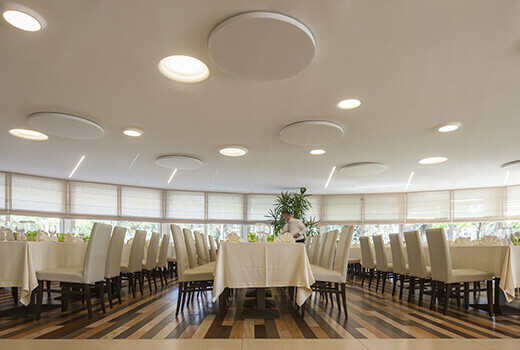 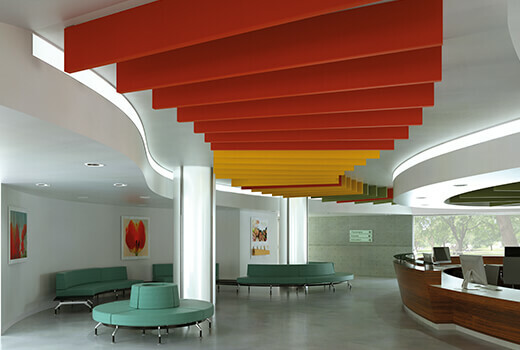 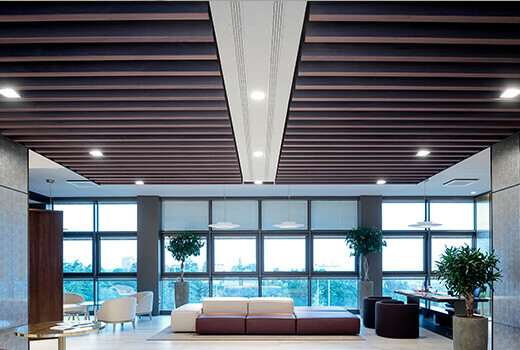 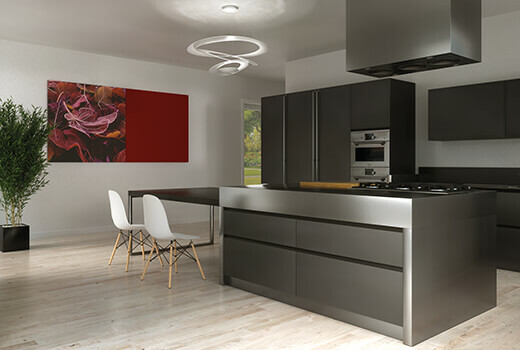 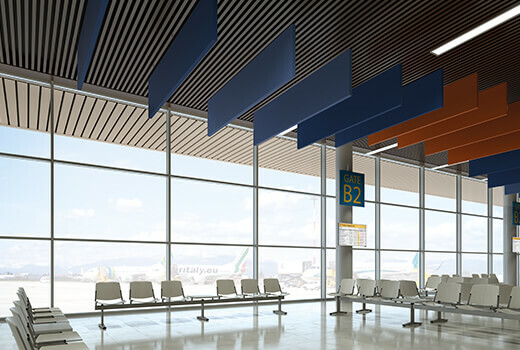 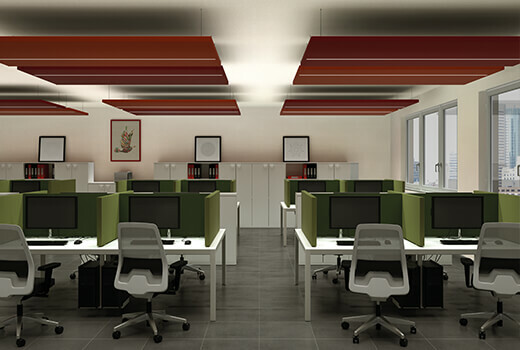 The product has many different features: Kubo has thicker sound-absorbing material than other Caruso Acoustic products, overall size 50X50 cm or 40x40 cm, allowing greater absorption of low frequencies. 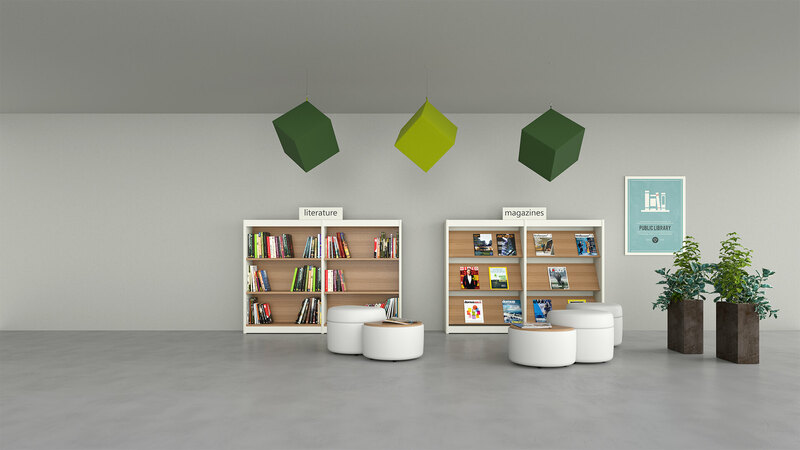 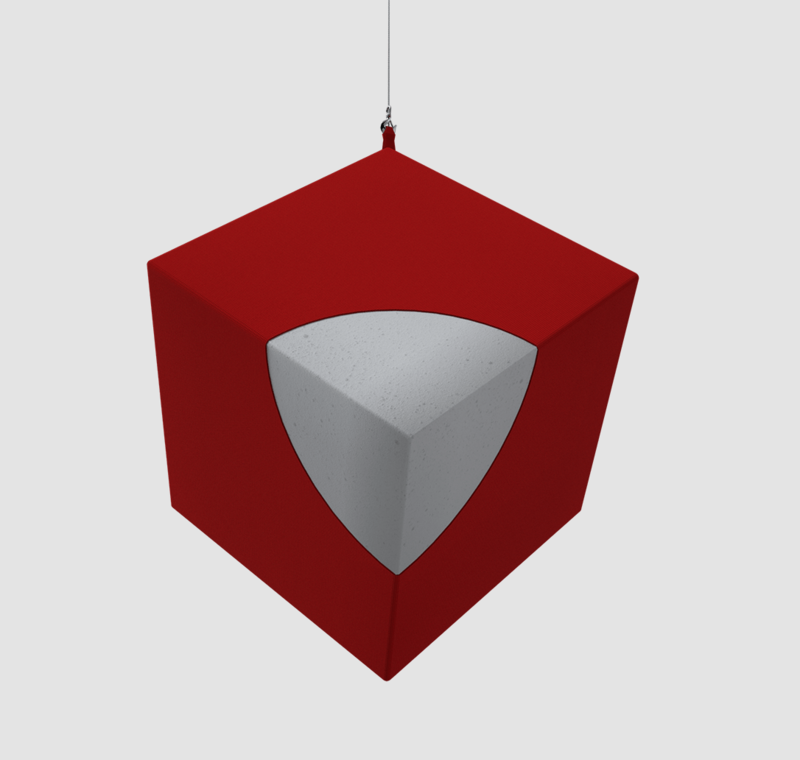 The Kubo sound-absorbing cube is available in sizes of 40x40x40 cm and 50x50x50 cm. 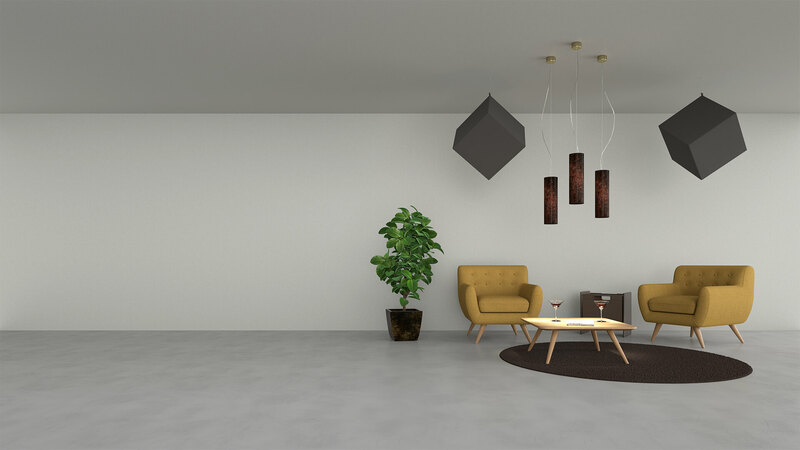 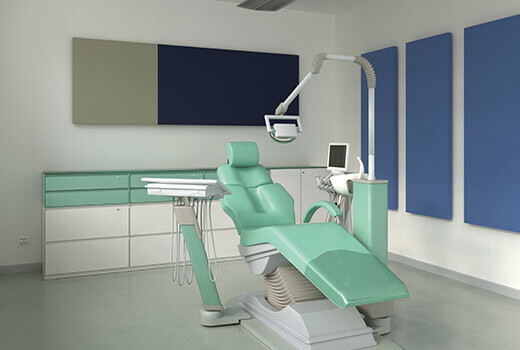 Its small size means it takes up little space inside a room and thanks to its special fastening system with a steel cable, this sound-absorbing cube can be effectively positioned to meet the different comfort needs of its intended environment.